I have had several ask me how I began my relationship with BMI. 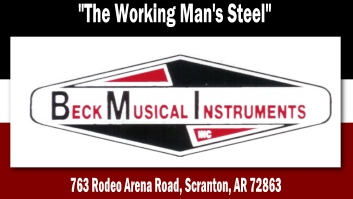 Back in 1999 for the first time I went to the Steel Guitar Show in St. Louis. While I was there I talked to different vendors about developing a website for their company. Don, the owner of BMI, was the only person interested in my services. It was from that point on that my friendship with the company began. While developing the website for the company I started to receive questions about the guitar, parts and etc., During that time I started to become more involved in the building of the pedal steel and sales. It was Don Fritsche that drew me to BMI over the other companies. His kindness and meekness reflected all the storys that I had heard regarding Zane Beck. I never had the privilage of knowing Zane Beck personally, though I wish I had the opportunity to spend some time with him. So what is it about BMI? We strive to provide a quality product and quality service that has kept us in the business for over 40 years. We went through some growth during the years since I started working with BMI. Around 2006 BMI added Vern Mandrell as our sales rep. covering the ill. area and above. In 2011 we made some more changes, we brought on Jordan Howell to take over the website development allowing me to concentrate on sales, and assist with research and development. In 2012 we added tommy young to the sales staff.